PT Astra International Tbk - Astra International or referred to as "Astra Group" is a leading public-listed business conglomerates in Indonesia. PT Astra International Tbk was originally founded under the name PT Astra International Inc was established in 1957. In 1990, the Company registered its shares in Stock Exchange (stock ticker ASII), which marked the change of its status to a Public Company. At present, Astra Group runs its business through 191 subsidiaries/affiliates/jointly controlled entities as well as more than 227,099 employees operating in 6 business segments, namely Automotives, Financial services, Heavy equipment, mining and energy, Agribusiness, Infrastructure, logistics and others, and Information technology. 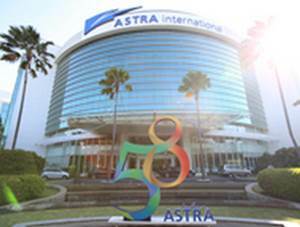 Astra Group has its legal domicile in Jakarta and its head office is located at Jl Gaya Motor Raya No 8 Sunter II - Jakarta Utara Jakarta 14330. In term of financial performance, Astra Group reported total revenue of Rp 184,196 billion in 2015. This total revenue figures reflected a 9% down as compared with total revenue in 2014 amounted to Rp 201,701 billion. The Company's total net income decreased 25% from Rp 19,191 billion in 2014 to Rp 14,464 billion in 2015, according to PT Astra International Tbk 2015 Full Year Financial Statements as cited by JobsCDC.com. Undergraduate students from all disciplines. Candidates from Visual Communication Design major is preferred. Able to make design which related to branding. Familiar with design and video editing application such as Adobe Photoshop, Adobe After Effect, etc. Have strong initiative and good team work. Have strong interest with employer branding. Placement at Head Office Jakarta (Jl Gaya Motor Raya No 8, Sunter II, North Jakarta). Internship Period: October - December 2016. JobsCDC.com now available on android device. Download now on Google Play here. Please be aware of recruitment fraud. The entire stage of this selection process is free of charge. PT Astra International Tbk - Employer Branding Intern Program Astra Group September 2016 will never ask for fees or upfront payments for any purposes during the recruitment process such as transportation and accommodation.